In this brand-new, never before published work of inspiration, the bestselling author of The Return of the Prodigal Son offers a compelling case for why Christianity is still relevant, beautiful, intelligent, and necessary in the modern world. Includes a foreword by popular author Richard Rohr. 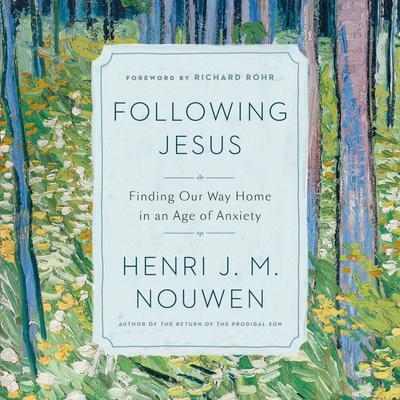 At one of the lowest points in Henri Nouwen's life he gave a series of lectures on the importance of following Jesus in an age of anxiety. Drawn from those talks, this new work from the archives of the Nouwen estate reveals the deep turmoil and sometimes turbulent inner life of a man who has become an icon of compassion and vulnerablity for Christians and non-Christians alike. Here he writes eloquently about calling and purpose, fear and hope and explains why, with so many choices available to the twenty-first-century seeker, including atheism and secularism, the greatest reward for those looking for fulfullment is to choose belief in God. Along the way he offers warm, insightful, practical spiritual practices to help keep readers navigate the narrow, sometimes arduous, but ultimately fulfilling road of conviction and faith.